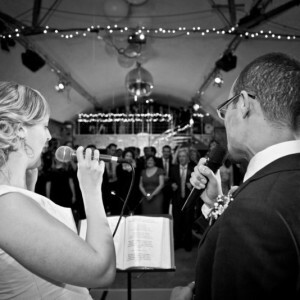 ROCKAOKE provide the perfect live entertainment for weddings and civil partnerships. You bring the guests, we bring the sound! 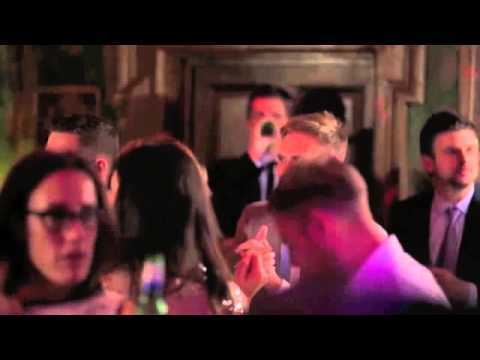 If, on the other hand, you want your wedding to ROCK like no other, then ROCKAOKE is exactly what you’re looking for! 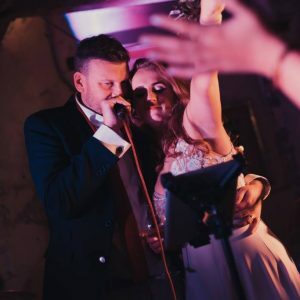 When the greatest day of your life is full of “take home” moments, ROCKAOKE provide the memories that stand out above all (except maybe walking down the aisle ). Whether it’s the blushing bride singing KILLING IN THE NAME OF, 5 Spanish aunts singing HEY JUDE or an impromptu U2 set from the fanatical Groom, the band pride themselves on turning any intimidating chequered dance floor into a jumping, singing, dancing party arena. 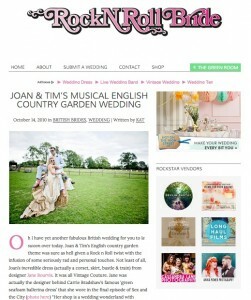 Brides Magazine - "Best Wedding Band Ever"
You might be fooled into thinking that ROCKAOKE weddings would be messy affairs. An undesirable trip into the light chav-tastic. You’ll need to think again. 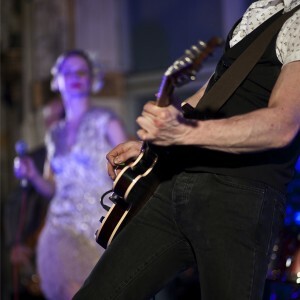 The vast majority of ROCKAOKE weddings are remarkably chic events in lugubrious surroundings for uber-cool couples and their families and friends. 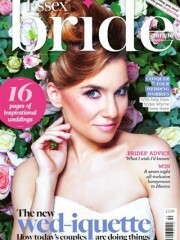 BRIDES MAGAZINE went as far as to call ROCKAOKE “the best wedding band ever”. Google “best wedding band ever” and you’ll see for yourself. 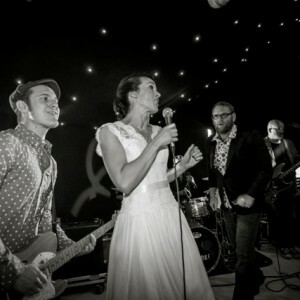 Some of our favourite photos from the most Rock N Roll weddings. We just wanted to say a MASSIVE thank you again to you all for making our post-wedding party an absolute hit!! You guys completely rocked and I’ve had quite a few enquiries already (which I’ll send your way) from the converted. Think you may have gained a few twitter followers as well haha! Tamsin and I just wanted to say a massive thank you for Saturday night. The evening was absolutely amazing and you guys made it for us! 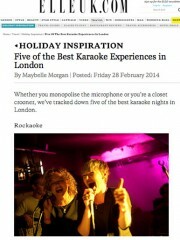 We had such a laugh and our friends and family couldn’t get enough of Rockaoke! We were so impressed how you kept everyone going throughout the evening and also the little bit of help you gave some of our more tone deaf guests (me included).We are already looking for an excuse to get you guys involved in another party but until then have a great New Year. 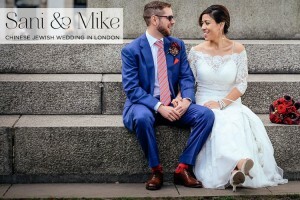 We just want to save a HUGE, MASSIVE THANK YOU for making our wedding day the best wedding ever (well in our opinion anyway!) The band was amazing, and you were all so lovely too. We couldn’t have had anything better! We were so impressed and everyone is still talking about you! all we have to do now is try and get you a regular slot up here so we can do it every week! 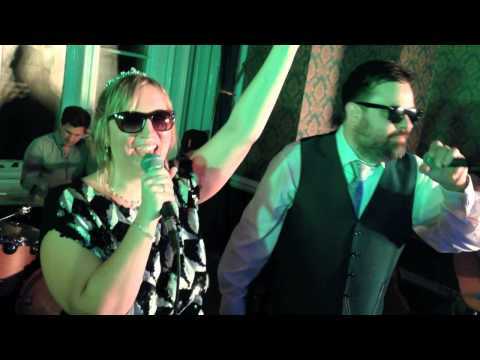 Hiring Rockaoke was probably one of the best wedding decisions we made and the band was great. Just a shame we can’t get married again and do it all over. 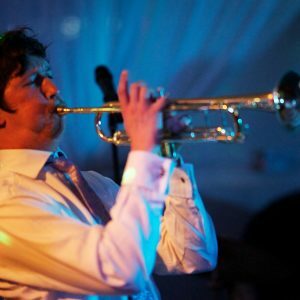 I believe a friend of mine who was at the wedding had already hired you for their Christmas bash just gone due to how good the band were. That’s a testimonial in itself I guess. I can’t even cope with how much you made our day. MADE it. We loved it. Our friends & family loved it. And all of the little things like learning Tess’s song, the perfect playlist and making sure I got up there with my bros – which BTW, they would not stop talking about; especially how brilliantly you played that in getting them up there, as the combined elements of surprise & peer pressure was the only reason they agreed to it – complete genius.It will be forever one of my favourite moments of the day and my life – The “company” doing Living on a prayer. THANK YOU for being such a fantastic band – everyone loved you guys and we had an absolute ball. Rage Against the Machine was a highlight, but to be honest it was all just brilliant. We’ll certainly be recommending you to anyone who will listen! Wow, what a night! Just wanted to drop you a note to say‎ a huge huge thank you. Everyone is raving about you all! The stage looked amazing and you’re such great musicians. Matt you were a fab MC and also so very helpful at the set-up stage. I knew it could be a great night, but you all made it one of our most memorable parties – ever! We had the most amazing evening which completely fulfilled all our dreams. Our guests had a brilliant time too – we had so many comments along the lines of ‘the best wedding reception’ they’d ever been too. Thanks to your professionalism and expertise, you managed to get everyone in the party mood by judging perfectly which songs to do to get them all dancing (even if they weren’t brave enough to sing). I certainly didn’t think I had two songs in me! It was absolutely fantastic. Kirsty and the band were amazing – everyone had a brilliant time. 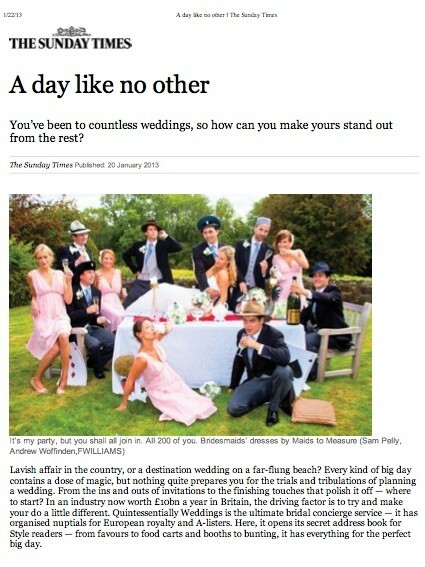 Exactly the wedding party we had hoped for – thank you so much! Yvette and I returned from honeymoon yesterday and one of the first things I wanted to do was to thank you both for a fantastic evening. I also wanted to let you know that all of our guests without exception (we even had two in their 80’s) are still commenting on how good your act is. Yvette and I wanted an evening were everybody joined in and whilst we have some great company as friends the way you facilitated it was brilliant and you helped make us have a perfect day. In summary, your act was spot on and completely exceeded my expectations I would have no hesitation (and already have) in recommending you. 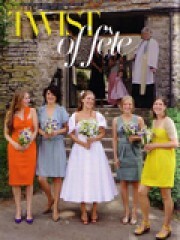 “TWIST OF FETE” – Louise & Diego’s “Real Weddings” feature in BRIDES MAGAZINE, april 2011. 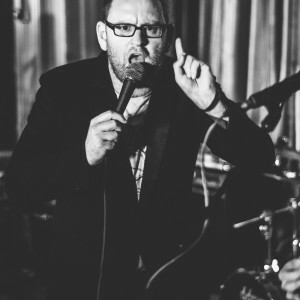 Please CONTACT US for more info and to enquire about booking ROCKAOKE.